Are you looking for an electronic way to record hours worked? We asked farmers what tools they use, and put the four most common ones to the test. It's important to know what you are trying to achieve before you make a decision. Do you want your employees to simply complete time sheets to cover your compliance obligations or do you want to use the information to increase team performance and efficiency? Deciding on your requirements beforehand and also deciding on whether you want to use a free or paid tool will help you to choose a programme that is best suited to your needs. DairyNZ reviewed four of the most commonly-used time keeping tools. This isn’t a comprehensive list of what’s available, nor are they necessarily the best products on the market. It is simply a range of paid and free applications that farmers are currently using – use this as a starting point on your time-recording journey. Click on the expanding items below for a review and rating of each tool. We think this programme will most suit those who like to have all their staff information in one application and to take care of their timekeeping and wage compliance in an uncomplicated way and don’t mind paying for that service. Some aspects such as role descriptors and tasks are non- editable but AgriSmart will add new job titles, etc. in to the programme if you request them. Navigation not always consistent but not too hard to find your way around once you have been in the programme a couple of times. Help videos available throughout the programme if you get stuck. There is also phone support available and some of the initial set up will be done for you. Cost: 3 levels of programme - basic = 1 employer/1 employee is free, Advanced & Pro - cost unknown at this stage. We think this would be most suitable for an employer who likes a high level of detail and is using the timesheets for greater efficiency as the time is recorded against tasks which are pre-loaded in the system. Dashboard view available to see with a breakdown of what tasks staff are spending time on. Helpful explanatory text when hovering over various labels in the programme. Easy to navigate round programme. Staff have to approve timesheets before they can be actioned, so they are effectively agreeing that that timesheet is a true representation. Some of the flow in the app forces you to enter more detail than necessary. Currently doesn’t have any link to wages, annual leave or tally of rostered days off. Doesn’t monitor things like going under minimum wage/over hours, holiday pay and time periods. 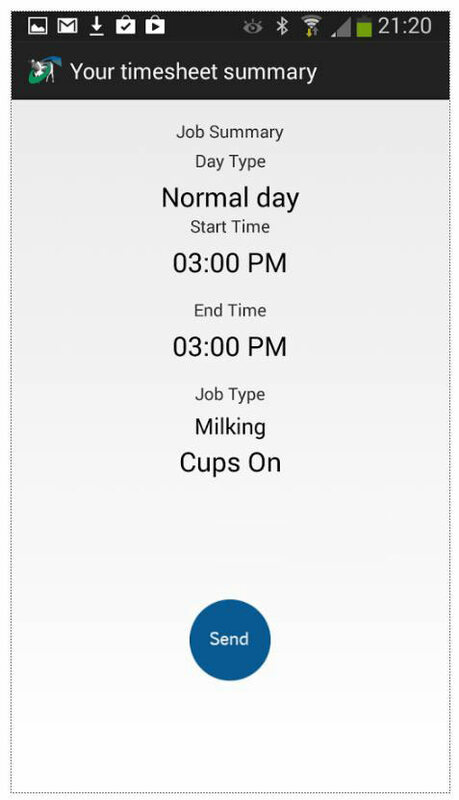 We think this app would suit farms with one or two staff that are wanting a simple way for staff to capture their hours. Very simple to set up and use. Has a progress bar so it is easy to see if you have a gap in your time-recording for the day Can be set to alert you if the timer hasn’t been activated by a certain time and the same for if you haven’t stopped the timer by a certain time. Can send daily time sheets to an email address. Just sits on each person’s phone so no way of seeing the whole team on one device. The company are currently developing a web version where it seems you will be able to get an overview. It is a much better experience to record time as you go. It is quite a clunky process to go back and enter time retrospectively. App available for Android and iOS, also available online if you don’t want to use your Smartphone. 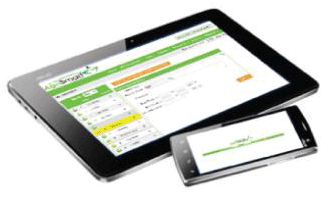 Functionality for both employees and employers – requesting and managing leave, recording and approving of timesheets, access to timesheets. Straight forward interface on both the app and web views. Time recording is very flexible it can be as simple as recording hours worked or can be set up to allocate time to specific tasks if you wish to analyse productivity and efficiency. As part of the integrated payroll system PaySauce automatically calculates wages, PAYE, leave accruals, deductions, and allowances. Full support available by phone and email. No off line capability. Like any new programme it will take a little time to become familiar with some of the navigation. 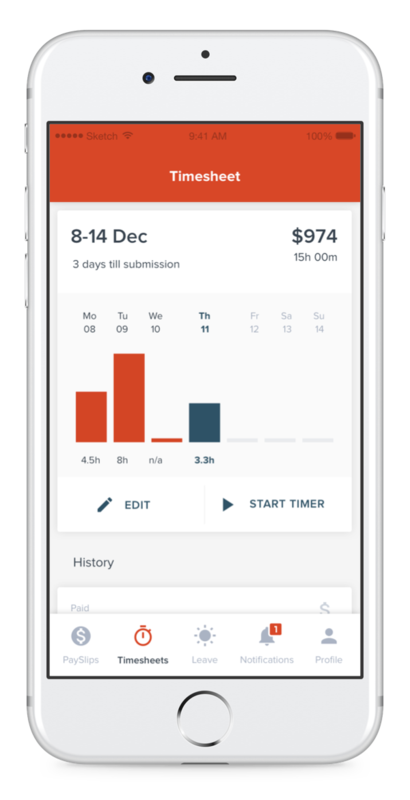 We think this app will be most suited to someone who wants a simple system to encourage staff to record their hours worked. A simple time-keeping app with basic reporting functionality. 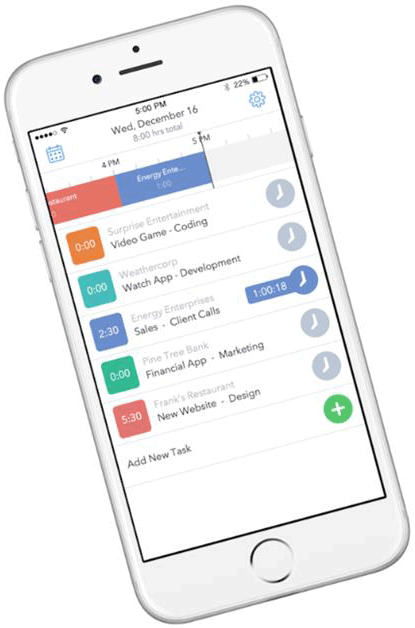 Staff can record hours worked from the app on their phone. Easy to install, just download from app store. As the administrator, you can view and enter information by logging in to the Toggl website. Doesn’t monitor things like going under minimum wage/over hours, holiday pay and time periods. When setting up for the first time use the web to set yourself up as an administrator then send an email to your staff to join your group. The email will contain a link to the app so that it is easy for staff to download without having to search for it. Updates are sent in real time when the app user is in reach of an internet connection. This means it is easy for the administrator to check in on a daily or weekly basis to ensure the app is being used, as they will see the timesheet updates as they appear. If you have feedback about a timekeeping app not listed on this page please take our survey. Timesheets ensure an accurate record of the actual hours being worked on farm. Create farm rosters quickly and easily with our new online roster builder tool! Ensure employees are remunerated fairly for their level of responsibility, they add tremendous value to your business.